Widely circulated rumors were confirmed on Saturday night when Top Rank Promotions announced that Tyson Fury, the undefeated heavyweight who many feel is still lineal champion of the world, would be facing the widely unknown Tom Schwarz on June 15th , reportedly at the MGM Grand in Las Vegas, Nevada. It will be Fury’s first bout since signing a highly publicized and surprising contract with Bob Arum’s Top Rank promotional outlet several weeks ago. 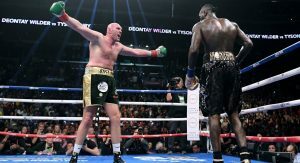 Fury was widely expected to rematch WBC heavyweight titlist Deontay Wilder after their entertaining and controversial battle last December, which had ended in a draw. The Englishman decided, however, to team up with Arum and ESPN instead. The 24-0 Schwarz is essentially an unknown commodity. He has never fought in America, and has only fought outside of his native Germany on a few occasions. Although undefeated, Schwarz has yet to face anyone of note, much less anyone as high-level as Fury. With Wilder scheduled to fight Dominic Breazeale on Showtime this May, and multi-titlist Anthony Joshua set to face Jarrell “Big Baby” Miller on the DAZN streaming service in June, team Fury had to look for an opponent unencumbered by the politics of contemporary boxing. Fury, one of the more colorful figures in boxing, can regularly be expected to do the unexpected. After stunning the fight world by besting long reigning heavyweight king Wladimir Klitschko late in 2015, the now 27-0-1 Englishman descended into a world of depression, booze, drugs, and food. Emerging from the darkness, Fury then went on to surprise many when he almost beat the feared American puncher Wilder late last year. Now Fury has taken people by surprise again by teaming up with Arum and ESPN. Few, however, will likely expect any surprises when Fury steps back into the ring on June 15th in order to battle Schwarz. 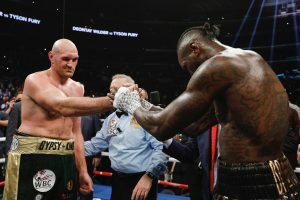 With the heavyweight division now being more competitive than it has been in years, the three top fighters in the division, Fury, Wilder, and Joshua, are nonetheless fighting under different promotional banners, which will make any matches between two of the three men quite difficult to make from here on in. In terms of legacy, and also finances, each fighter – along with the fighter’s teams – will most likely want to eventually settle all matters in the ring, however. How such clarity will come about, remains to be seen at this point. 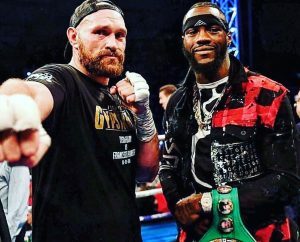 With those words, the undefeated power puncher from Alabama gave his take on “the fight that wasn’t” – a highly anticipated rematch between himself and Tyson Fury, which was widely expected to go down this spring. 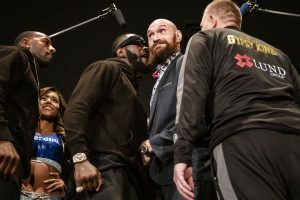 The first Wilder-Fury battle, which occurred in December and ended in a controversial draw, left fans wanting more, in no small part because Fury went down – then got up, from a ferocious Wilder shot in the 12th and final round. Fury, however, surprised the fight world recently by aligning with promoter Bob Arum and ESPN, a move which arguably put him directly at odds with Wilder, and Al Haymon, who acts as Wilder’s adviser. The fact that Fury’s decision was announced around the time fans and analysts were expecting word of a Wilder rematch only added to the shock factor. “You know nothing was wrong with the contract,” said Wilder, “that everything was good. But Fury did not want to fight me. Fury signed the ESPN deal to run away from me. You can’t go nowhere. Well, where he gonna go? He’s not a champion. He didn’t win the fight.” Fury, of course, has his own take on things (it’s doubtful he’d even say he didn’t want a rematch with Wilder). The fighter known as The Bronze Bomber admitted that team Fury made him an offer – but it wasn’t the kind of offer he’d be willing to take. 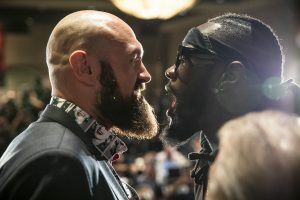 According to Wilder, team Fury was eager to capitalize on the fact that Wilder had admitted he was a “free agent,” which essentially meant Wilder could fight on any network, including ESPN. “That’s where everything went crazy,” Wilder said. “We got a lot of deals on the table. But yeah. 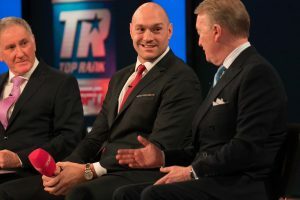 They (team Fury) went to four fights or whatever.” In other words, Wilder claimed team Fury wanted Wilder to sign a four fight contract with ESPN before agreeing to a rematch. 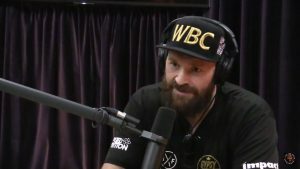 “Consistent with the WBC Board of governors voting regarding the direct rematch between WBC champion Deontay Wilder and Tyson Fury, the WBC is hereby notifying both camps that the free negotiation period is opened and if there is no agreement between the parties a purse bid will be conducted by the WBC on Tuesday February 5th . The announcement, which arrived on Thursday, came as little surprise to the fight world. In fact, talks between the two camps are already reported to have begun. The first battle between the two undefeated giants was truly a contest of skill and will, as the slippery Fury was able to avoid the hard hitting Wilder for large portions of the fight – until being dropped twice. The second knockdown, which occurred in the last round, say Fury flat on his back, seemingly done. Somehow, however, the enormous Englishman was able to get back on his feet and finish the round strongly. 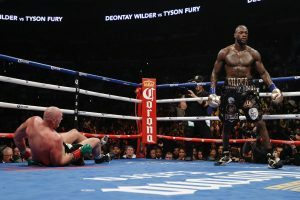 The fight, of course, ended up being a draw, with many – though certainly not all – feeling that Fury had done enough to win. The controversy, coupled with the wild knockdown and recovery of Fury after over half an hour of the two fighters essentially playing cat and mouse, almost begged for a rematch. To make things even more enticing, the two larger than life heavyweights, who stand between six and a half and seven feet tall, have personalities to match their statures. Lost in all of this is heavyweight multi-titlist Anthony Joshua, who, like Fury, is an undefeated Englishman. A staggeringly huge draw in his native country, Joshua has yet to fight in America, where the second Wilder-Fury fight, if it comes to fruition, may likely take place. Although Joshua holds most of the major titles in the division, Wilder’s WBC belt is arguably the most well regarded and well known. On top of that, Fury has a claim to the lineal championship due to the fact that he bested long reigning heavyweight king Wladimir Klitshcko in 2015, making Fury “the man who beat the man.” In other words, there’s no undisputed ruler of the heavyweights at the moment, which makes the once bland weight category more intriguing and interesting than it has been in perhaps a generation. Will We See Anthony Joshua Take on Tyson Fury? Will we see Anthony Joshua take on Tyson Fury this year? Both fighters are with different promoters and different UK PPV channels so trying to put the fight together could prove problematic. Fury’s promoter, Frank Warren has suggested that both Sky and BT Sport could show the fight as a PPV. “In the UK. You could go to Cardiff, they have a roof on the stadium. That should be summer, outdoors at a football stadium and would sell it out 10 times over,” Warren told the BBC recently. “It would grip the country – one of those events that transcends the back pages. Everybody would be talking about it. “It will be a pay-per-view event because the fighters will want to maximise their income, you can understand that. It’s very easy (to make) this fight (if it’s 50-50). “When I say 50/50, let Sky and BT Sport Box Office both have it. Take all the obstacles away like they do in the States. The fans want the fight. However an other obstacle is the rivalry between Warren and Joshua’s promoters, father and son team, Barry and Eddie Hearn who run Matchroom Boxing. Warren continues, “Anthony Joshua is a business. He makes money. It doesn’t matter who he fights, they can fill up Wembley. There is no doubt that UK fans would love an all British clash between the two heavyweights however as always politics may stop the fight from ever happening. With an April date already booked by Matchroom Boxing for Wembley, it’s unlikely we will see Joshua take on either Deontay Wilder or Tyson Fury. In fact we might not even see Joshua appearing at Wembley, with reports now suggesting a fight with Jarrell Miller will take place Stateside to introduce Joshua to the U.S market. 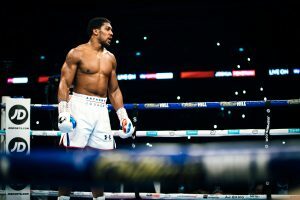 This could leave a Wilder – Fury 2 fight to take place and once again overshadow Anthony Joshua who has been the beacon for British and Heavyweight boxing in recent years.